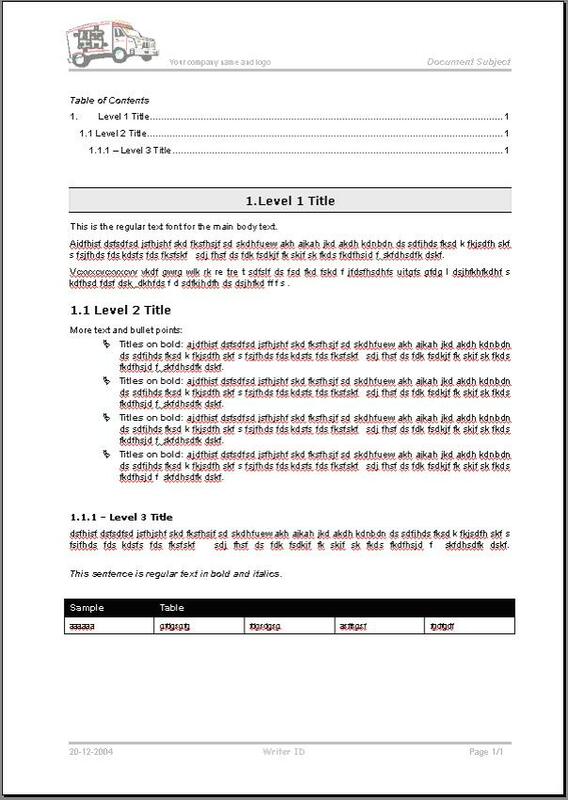 Clear and organized template for general documents, especially suitable for longer documents. Templates are documents that can be re-used maintaining the original formatting. They allow individuals and corporations to systematically and consistently create good looking documents without having to create them from scratch. This template is specially suited to longer documents, with a emphasis on highly visible main chapter titles (Level 1 Titles) and include formats for the most used elements: bullets, tables and subtitles. Download is a ZIP file including the Word Template files. There is a README.TXT file explaining the file contents. Check our FREE PC Tips. They will be regularly published and will include some on document formatting very soon. Better still, subscribe our Email Newsletter. You will be informed when contents updates are made and automatically granted participation on any future promotion.